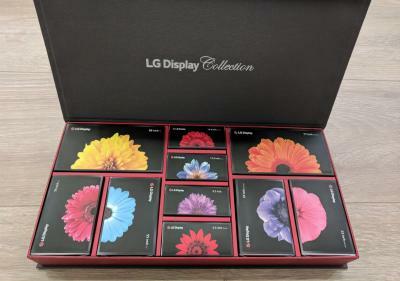 On March 9th, LG Display's promotion team kindly invited us to a tour of LG's "Display City" in Paju, Korea. The display complex houses about 20,000 employees, and is highly impressive. It was a pleasure to get the opportunity to see it. 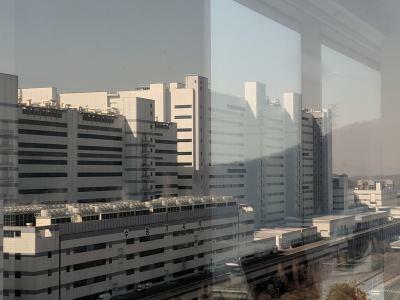 The first thing one notices is the new P10 10.5-Gen OLED TV fab building - which is the largest building in Paju. The P10 OLED TV fab is not complete yet, but according to reports LGD will be ready to start installing the equipment soon. 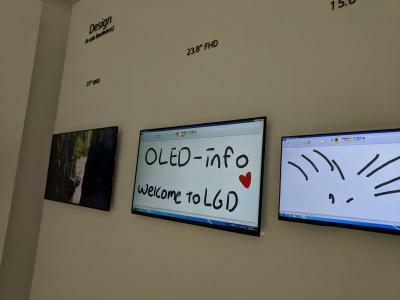 Our friends from LGD's promotion team took us to see LGD's showroom, which exhibits LG's latest display technologies. It was an extremely pleasurable experience for a display buff, as the room is spacious, beautiful and filled with all sort of exciting technologies - including OLED TVs, OLED lighting panels, CSO OLEDs, LG's commercial curved OLED signage and more. There were several LCDs on display, but the team tells us that LGD is slowly replacing all displays with new OLEDs (some technologies, like LG's rollable OLED TVs, haven't been placed in the showroom yet) as the company's focus is now mainly on new OLED technologies. A nice demonstration in the show room shows the different glass sizes used by LGD in its display production - the 10.5-Gen P10 glass size is not represented yet. This can be seen in the video above. Following the showroom tour, we were taken to see one of LG's LCD TV fabs in action. 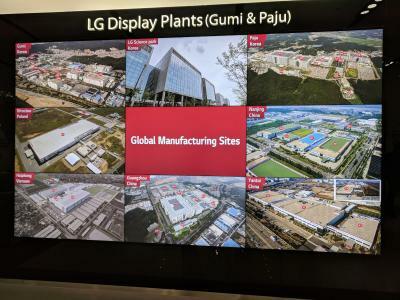 Unfortunately, we were not allowed to see any OLED production lines - as LGD (understandably) will not allow any outsiders inside its newer lines. The LCD fab, already in production for over 10 years, is completely automated and very impressive. At the top of the LCD fab is LGD's Paju observatory - from which you can see the display fabs - and also glimpse at North Korea on a clear day. 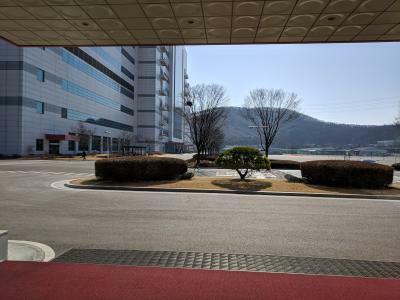 Paju is located right near the border with North Korea, hopefully the two countries will be peacefully united in the future. Our tour concluded with an excellent Korean lunch, in LGD's "Guest House" for visitors. The company takes great pride in its heritage and production capabilities - and rightfully so! LG's OLED panels are the world's best TV display screens and we were very pleased to see the production hub and exhibits. The excellent tour was concluded with a parting gift - A chocolate box shaped in which the candy bars are shaped like different sized display panels! On a personal note, we wish to thank our hosts for a delightful visit. It was professionally planned and executed from start to finish, and was the high point of our Korea visit. Thanks TJ and Sunny and the whole LG team! Any sign of any ink-jet printed panels on display?